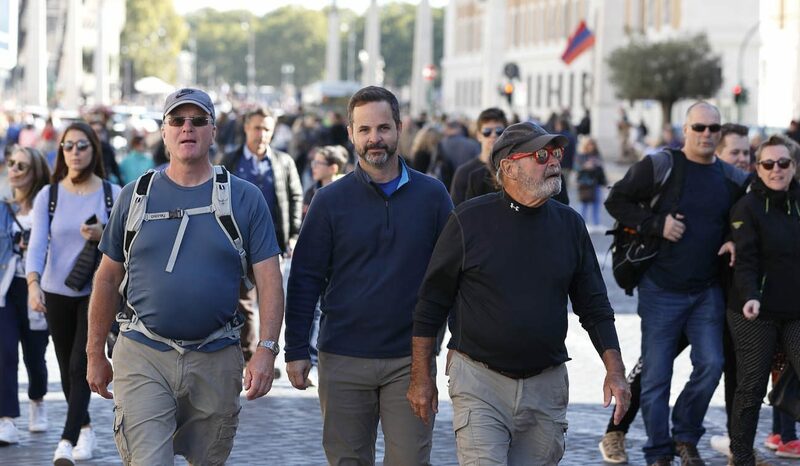 VATICAN CITY (CNS) — After weeks of navigating difficult terrain, avoiding wild animals and steep cliffs, the devoted pilgrims and hiking enthusiasts who manage to traverse the 155 miles between Assisi and Rome on foot arrive in St. Peter’s Basilica and report a special kind of payoff. The Way of St. Francis is a network of walking trails that connects Assisi to Rome. Created 15 years ago by the government of Italy’s Umbria province, it attempts to mirror the path likely trod by St. Francis of Assisi when he went to Rome to meet Pope Innocent III in 1209. The actual historic route remains unknown. “When you arrive (at St. Peter’s), you’re usually kind of beat up. You have blisters, your legs are sore, your feet are sore, your joints are sore,” Thoman said, but still the pilgrims are grateful for the hard lessons learned along the way. Deacon Terrance Marcell, a 79-year-old serving at Holy Rosary Parish in Edmonds, Washington, said the challenge of walking the “cammino” — as it is called in Italian — gave him a renewed sense of what is truly important in life. Pilgrims encounter true wilderness on the trail to the Rome, and Thoman said he prepares them for encounters with the dogs, wild boar, snakes and other creatures that inhabit the Italian forests. “It’s a real-life journey out in nature,” said Thoman, who has been organizing Catholic tours of Italy with his wife for the past 15 years. Marcell said that encountering quaint scenes of rural Italian Catholic life summoned vivid memories of his youth. “The icons, the little churches and the sanctuaries have brought an image and have reminded me of my roots as a child,” he said. Father Vincent Gilmore, the pastor of Holy Rosary Parish, said that punctuating each day of hiking with the celebration of Mass helped him feel connected to the saints who had taken similar paths throughout history. NEXT: Children in hurricane-hit Texas, Puerto Rico ask pope, Why?